With his impressive performance at the 2018 World Cup in Russia, the 6’2” goalie became a superhero to many. However, his interview with KBS proves that he is just like everyone else. 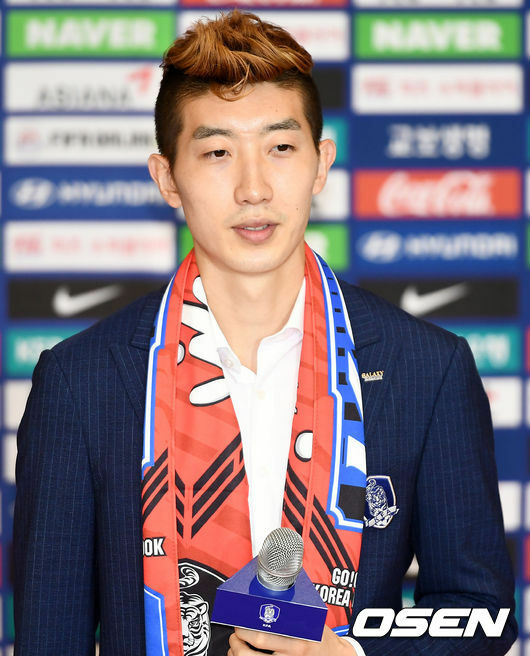 Cho Hyun-woo (27) emerged as a top star of the 2018 World Cup in Russia, and his popularity is only growing. 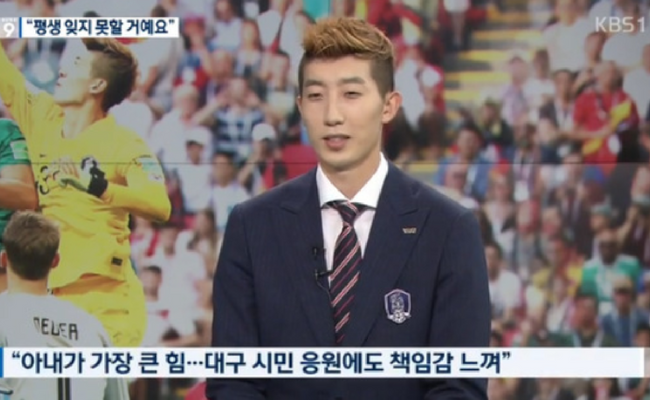 In an interview with KBS on June 29, the star goalie showed his affection for his wife. When asked the interviewer asked Cho “what is the driving force that has kept you from living an obscure life,” Cho answered that it is his wife. “My wife loves me so much. It is the biggest force (for me)” he said. 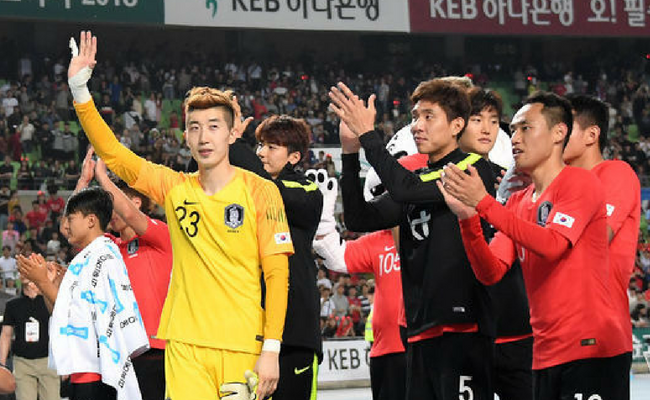 Continuing, the soccer player shared an anecdote about something his wife did before he took to the field in Korea’s match against Germany. “Be scary. Be confident,” that is what Cho said his wife told him before the game. As a result of her encouragement, the athlete said that it gave him a lot of strength as he played. Notably, Cho has a tattoo of his wife on his arm. During the interview, Cho’s father Cho Yong-bok (62) talked a bit about his son when he was a child. Yong-bok revealed that he was not as supportive of Cho as other parents. However, it was not out of lack of desire, rather lack of resource. When Cho was a middle school student, the company that Yong-bok worked for when bankrupt. As a result, the family was under a financial burden. In turn, the father took up a job running a supermarket. Consequently, he did not have the free time of flexibility to cheer for Cho at his games. 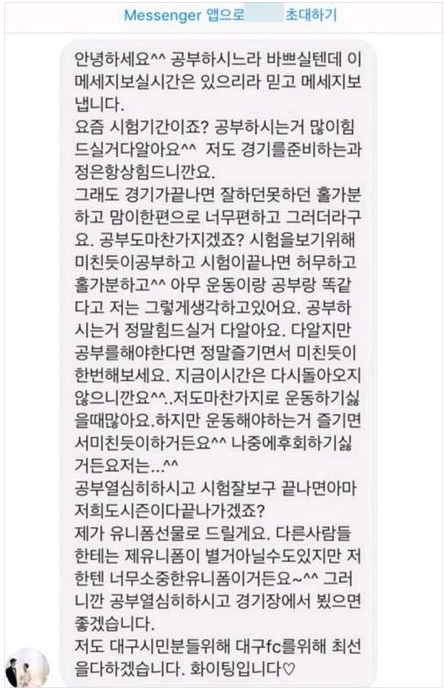 Recently, an online community posted a reply from Cho that he had sent to his fans. In the message, Cho wrote that “I know it’s going to be hard to study…but if you have to study, try it like you really enjoy it and go crazy,” he said attempting to encourage one of his student fans. Meanwhile, Cho Hyun-woo’s rising popularity can be estimated through the amount of commercial offer’s he’s gotten. According to a representative, many different companies that range from hair styling and skin products to imported car brands have requested him to appear in their advertisements. Additionally, he has been asked to guest on entertainment and news programs.